I probably feed these to my kids a little too often, but, honestly, they probably only get one scroll each, once I’m done devouring the rest secretly in the pantry! Shhhhh! They are really easy to make and you could put just about anything on them. Just keep in mind that you may have to slice everything quite thinly since this will be getting rolled up jelly roll style! You need some puff pastry and some toppings. 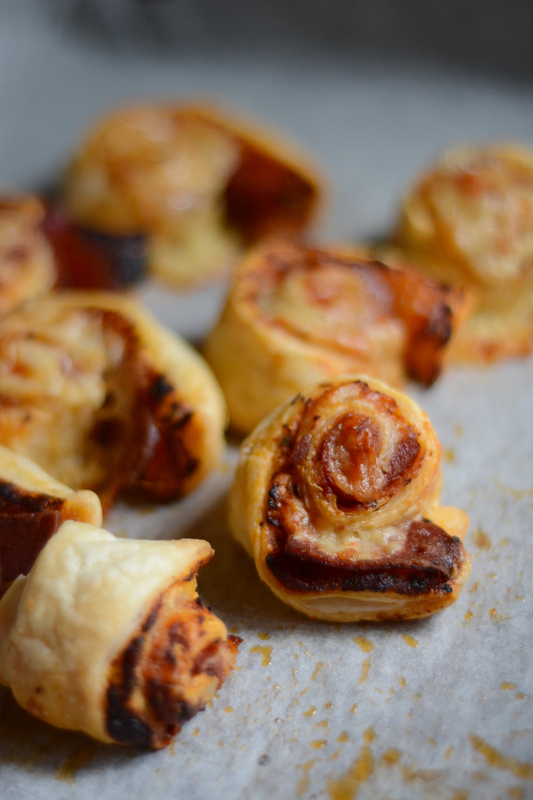 Take a sheet of puff pastry, put on some toppings.. Put on a heck of a lot of cheese, roll it up, slice and bake! What other toppings should we try??? 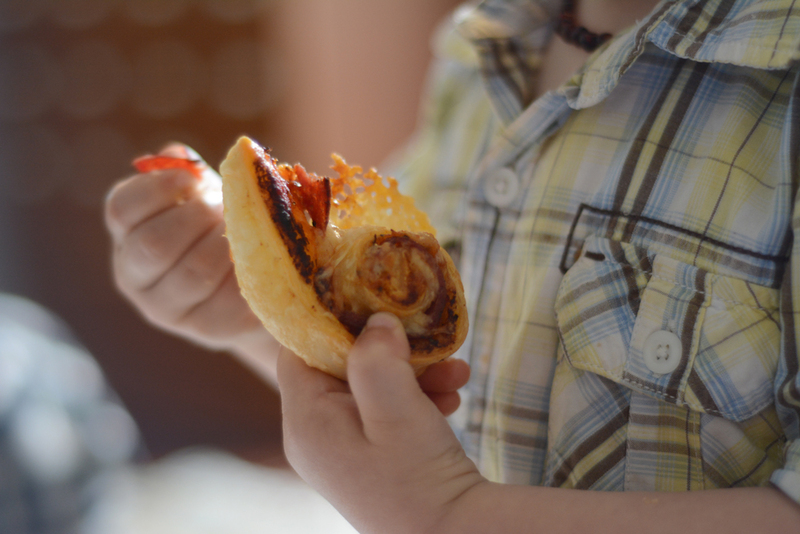 Super simple pizza scrolls that are beyond yummy! Preheat the oven to 180C and line a baking tray with some baking paper. 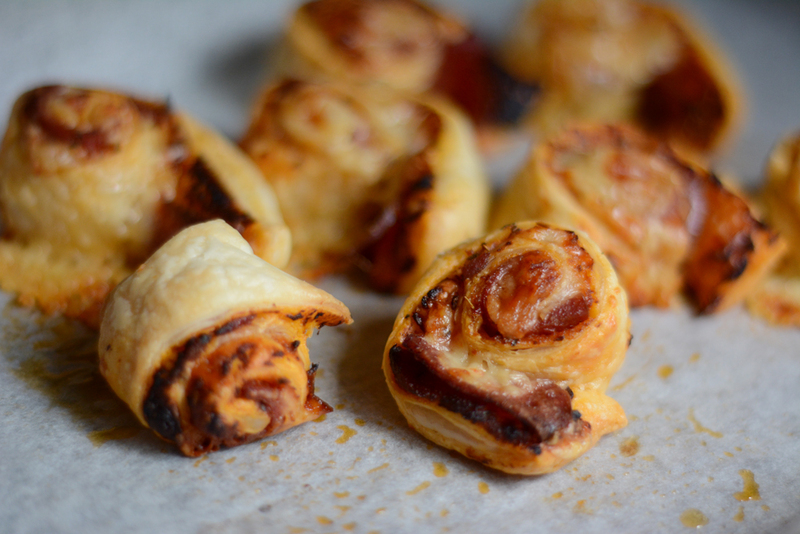 Take the sheet of pastry out of the freezer. Leave the backing paper on and put it on a clean bench. At this point, I slice and grate and prep what I need. This gives the pastry enough time to thaw. 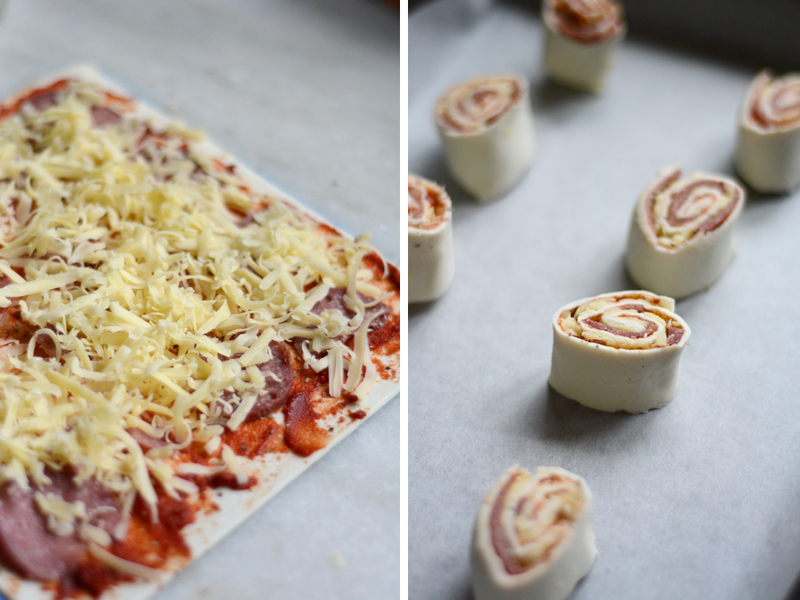 Now, roll up the pastry with everything inside. Roll away from you and use the backing paper to guide you and peel it off as you go. 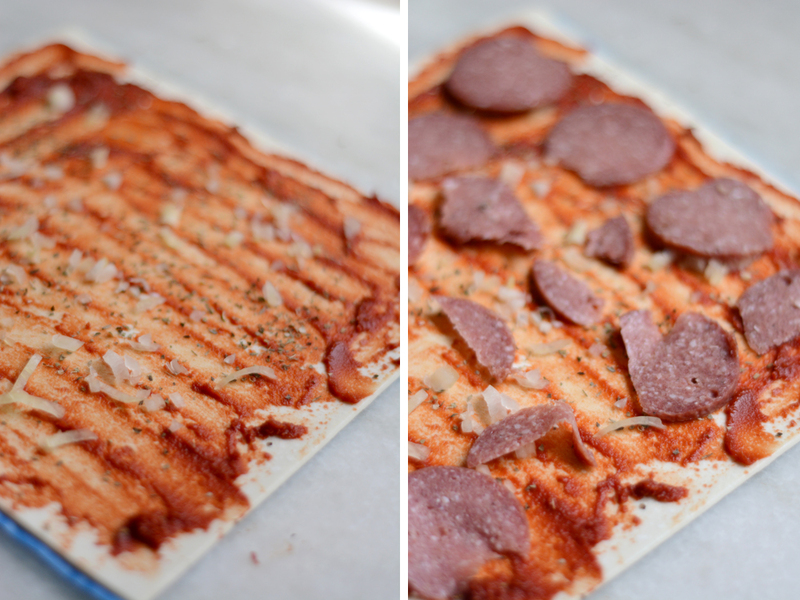 Next, with a sharp knife, cut the roll in half, and then those pieces in half and so on until you have 8 rolls. Place them on their sides on the lined baking tray and pop them in the oven for about 15-20 minutes. They will be nice and golden brown when they are ready. Next Post The Great Wellington Heatwave of 2015!